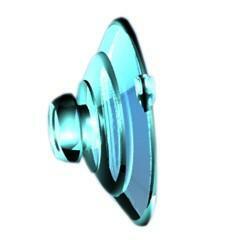 Small Suction Cup-Plain. 1-1/4"diameter. Wt.Capacity: 1 lb. Indispensible for dozens of uses, our new suction cups are now stronger, clearer, and UV-Stable. 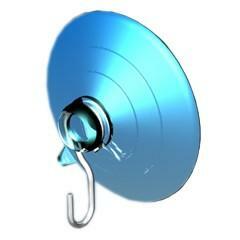 Small Suction Cup-With Hook. 1-1/4"diameter. Wt.Capacity: 1 lb. Indispensible for dozens of uses, our new suction cups are now stronger, clearer, and UV-Stable. Large Suction Cup-Plain. 2-1/2"diameter. Wt.Capacity: 7 lbs. Indispensible for dozens of uses, our new suction cups are now stronger, clearer, and UV-Stable. Medium Suction Cup-With Hook. 1-7/8"diameter. Wt.Capacity: 7 lbs. Indispensible for dozens of uses, our new suction cups are now stronger, clearer, and UV-Stable. Medium Suction Cup-Plain. 1-7/8"diameter. Wt.Capacity: 3 lbs. Indispensible for dozens of uses, our new suction cups are now stronger, clearer, and UV-Stable. Medium Suction Cup-With Hook. 1-7/8"diameter. Wt.Capacity: 3 lbs. Indispensible for dozens of uses, our new suction cups are now stronger, clearer, and UV-Stable.